NJ & SB Photography (Homepage) wrote: Creo que esto es el paraiso, cuanta belleza!! Arjan - PlasticDaisy (Homepage) wrote: What a super place to be! These colors are like nothing else! Jen Rinaldi Photography (Homepage) wrote: now that is just an amazingly gorgeous photo (and place!) WOW! Gorgeous! 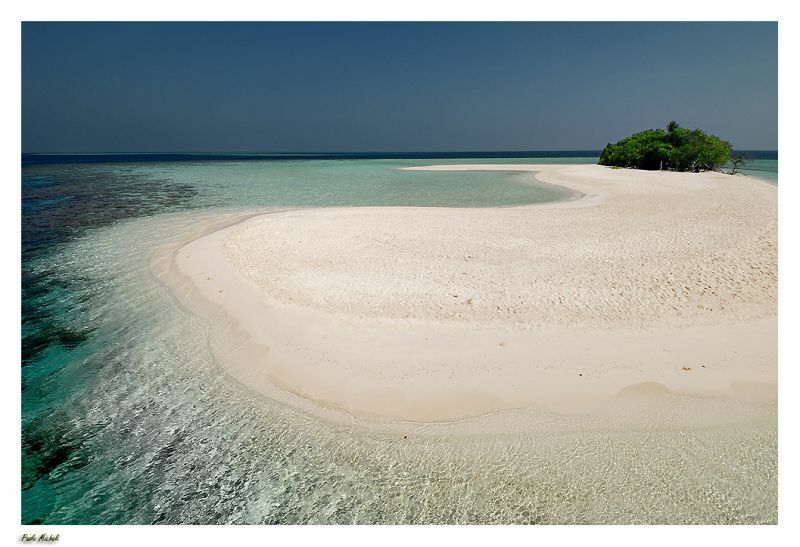 Andrés (Homepage) wrote: Indeed the Maldives. A very beautiful wide angle image!! Mike Paulison (Homepage) wrote: Paolo... fantastic! I must get to this place. You've done wonderfully in capturing it. This image and the others before it... fabulous!! Thomas (Homepage) wrote: This is tranquility personified. Amazing composition. sherri (Homepage) wrote: So very beautiful...the colors and low angle and just gorgeous. beanow (Homepage) wrote: Paolo, fantastic series...Congrats! Turnbill (Homepage) wrote: Wow, do places like this really exist? So pure and clean. Please tell me there's an oil refinery just out of the frame or a shopping mall parking lot behind you. Otherwise, I'll die with envy that you've found such a serene local. grant (Homepage) wrote: i'm enjoying this series of photos very much. this one is terrific. Krims@nline.be (Homepage) wrote: Here we go again, white beaches, blue/green ocean ... what else can we wish for ... excellent composition. Congrats Paolo! Andy (Homepage) wrote: Love the patch of green created by the trees in the otherwise empty beach!